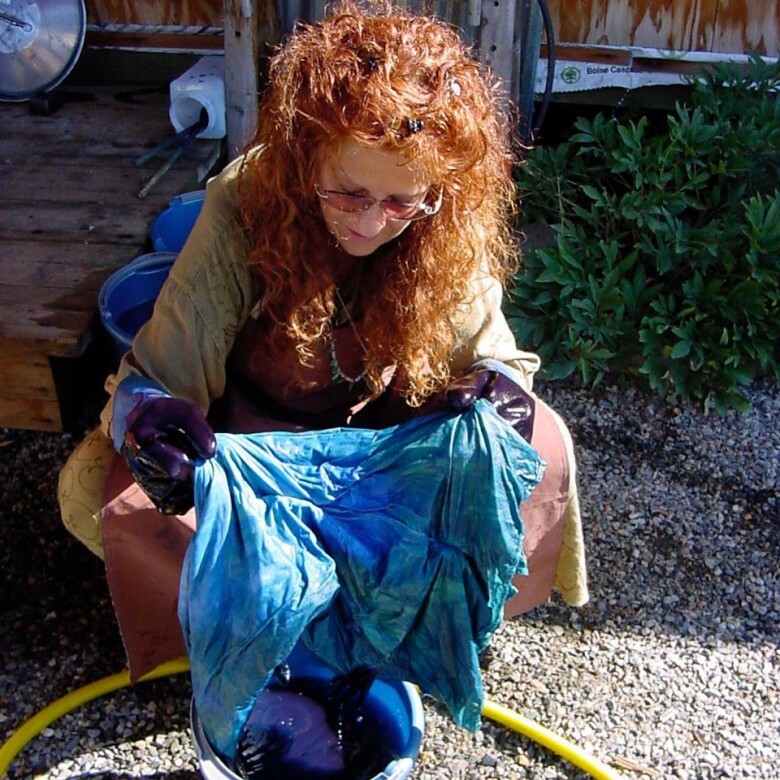 Learn basic Shibori techniques (clamping, folding, tying) which will create gorgeous patterns when dipped into the natural plant indigo vat. Produce a wide range of blues from pale sky to midnight. Cotton and Silk fabric will be provided but please also bring 2-5 natural fiber items from home. Nothing large, heavy or fuzzy items please. Thin cottons and silks are great. T-Shirts work great also. This class takes place both inside and out.